ongoing communion with the Source of Life/God/All That Is? experiencing wonder and magic and miracles as the natural way of life? Are you dedicated to returning our world to Love and only Love? 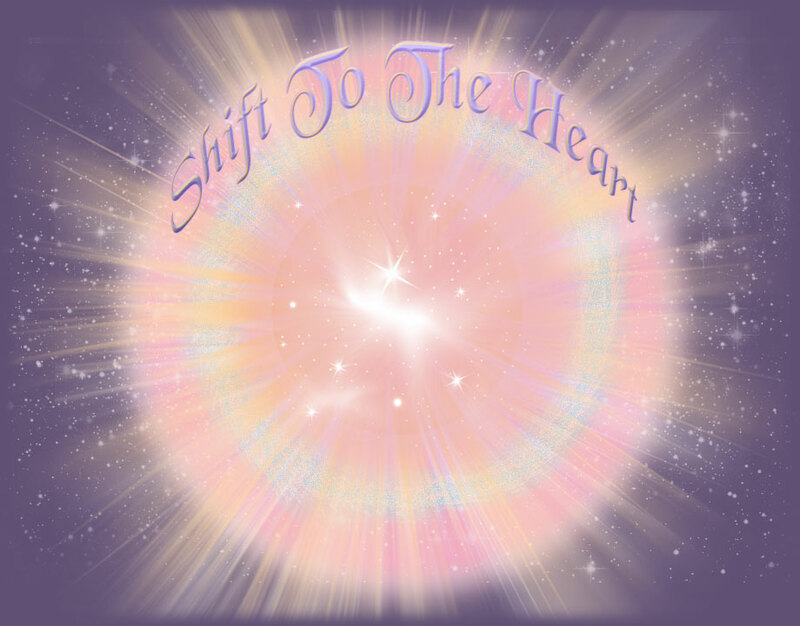 The core of this change – this Shift to the Heart – is a shift in all humanity in our instrument of perception. Instead of “seeing” the world from the analytical mind, we are shifting, consciously and unconsciously, to perceiving through the heart. The feelings of the heart become our guides. When you choose to live through the heart, you become immersed in the highest truth – that only Love is Real! The shift to the heart lifts us up to such a high vibration that we magnetically entrain all other hearts to Love, just by their being in our proximity! Every aspect of life on Earth is transformed by our Love and brought into resonance with joy, beauty, perfection. THE SHIFT TO THE HEART IS THE DOORWAY TO A LIFE OF ECSTASY IN A WORLD OF LOVE — YOUR LIFE, THIS WORLD, ALL OF HUMANITY! We ask you to ponder these words from the Messages from God. “Beloved ones, when you live through your heart, your experience of life shall now be very very different. You will experience the miracle of stepping into who you really are, to living this Love as the whole of God, focused here as you. “In the heart you are living in the fullness of the Now Moment where everything is included — where you are the whole, experiencing every communion of life as it occurs in all dimensions, alive in the resonant field of continually awakening Love.